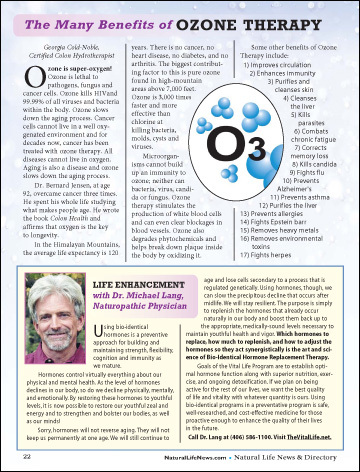 Ozone is super-oxygen! Ozone is lethal to pathogens, fungus and cancer cells. Ozone kills HIV and 99.99% of all viruses and bacteria within the body. Ozone slows down the aging process. Spinach, kale, chard or other greens bring color and nutrition. The optional sprinkling of grated Pecorino Romano, or crumbled soft goat cheese and/or a dollop of pesto make a flavorful garnish. Cancer cells cannot live in a well oxygenated environment and for decades now, cancer has been treated with ozone therapy. All diseases cannot live in oxygen. Aging is also a disease and ozone slows down the aging process.